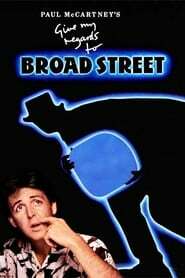 Having written the music and screenplay for this film, Paul McCartney also plays himself in the leading role. When the mastertape of McCartney’s latest album is misplaced, he must discover its whereabouts in less than 24 hours or else risk losing his recording company to the lowlife Mr. Rath (John Bennett). McCartney performs three new songs, along with classic Beatles’ tunes. Co-starring are former Beatles mate Ringo Starr as the drummer in Paul’s band, Ringo’s real-life wife Barbara Bach, McCartney’s then wife Linda and Tracy Ullman.